I originally found this recipe in the December/January 2008 Cook's Country issue. As always I made it as written the first time. I did then trim the time and enhance the flavors to my family's taste. 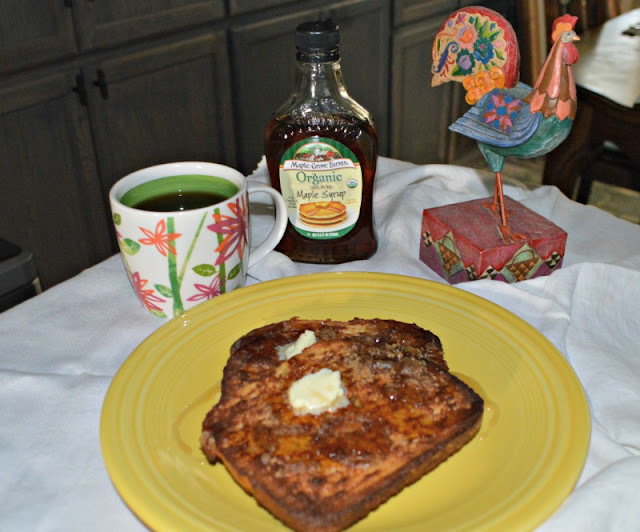 This recipe is so sweet we changed it from their original Sunday Brunch French Toast to Holiday French Toast and make it as a special treat for the kids on holidays. Trim (optional) and toast bread. Place 2 tablespoons of the butter on a jelly roll pan and place in oven to melt. When melted use a pastry brush to make sure the entire surface is well coated. Whisk together the eggs until smooth. Add the whipping cream and milk, whisking again until smooth. Add vanilla, lemon juice and salt, whisking again until well blended. Dip each piece of toast into egg mixture, coating both sides well. Place toasts on jelly roll pan. In a small mixing bowl use a fork to mix together the brown sugar, cinnamon, nutmeg and maple syrup until your consistency is wet sand. 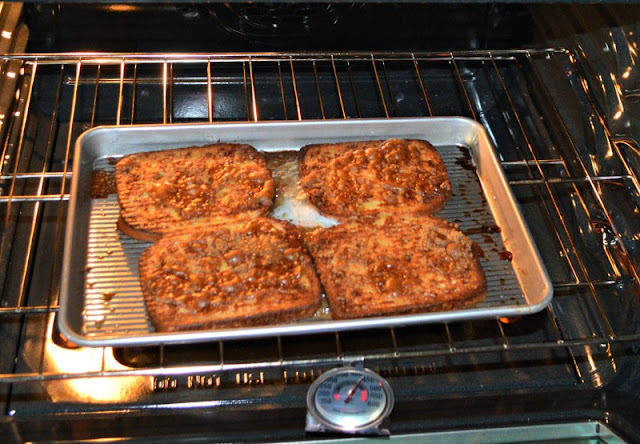 Remove pan from oven and flip each piece of toast. At this time add more butter if necessary. Sprinkle sugar mixture over toast pieces and return to the oven for 6 more minutes or until sugar is deep brown and bubbling. Sprinkle with sugar mixture just after you flip the pieces. Notice all the beautiful caramelizing bubbles! 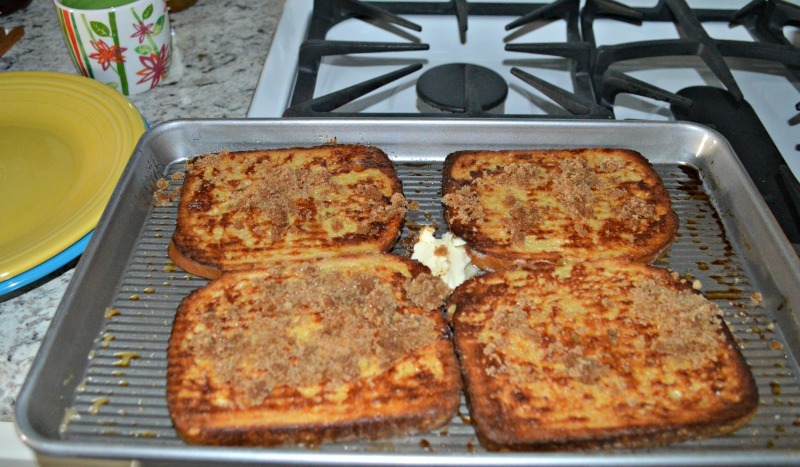 NOTE: If you don't like crispy edges, trim crusts before toasting. *The original recipe called for "hearty white" bread, but we prefer the sourdough flavor. **The original recipe called for 1/4 cup vegetable oil, but I changed it to butter for flavor preference.